Edit: Fucked up a bit with the torrent. Apparently ep36 was missing. Have been taken care of now. Sorry for the inconvenience. Well… This is it! The moment you’ve all been waiting for since September 11, 2012: the release of the final three episodes of “Captain Tsubasa: Road to 2002! It’s been a long time coming, but I did what I set out to do when I took over the editing duties of this series last year. I finished it – with help, of course! As the picture I selected for this post suggests, the successful completion of this series couldn’t have been done without team work! Therefore, this final release post wouldn’t be complete without mentioning the names of all the people who have worked hard to bring you CT2002, so……. let the credits roll!! First, I’ll begin with the core group of people (the CT2002 team) who have worked tirelessly to bring you this series. Then, I’ll mention those who filled in when they heard that the Team needed additional assistance for various reasons. I want to give special thanks to those QCers with knowledge of football… er… soccer…. because they were able to give me the proper terminology to use and helped keep the Commentators’ comments authentic. In addition, special thanks go to sangofe (for his patience with me) and kokujin-kun (for walking me through most of the “technical difficulties” I confronted throughout this series — and there were a lot of them!) Thanks, guys! Couldn’t have done it without y’all!! Note: Since so much time has passed since the first episode was released, time may not have been good to us – as far as remembering all of the names that should be included in this release post. So, please forgive me if I inadvertently left out someone. Feel free to send me any names of those who weren’t mentioned but should have been. 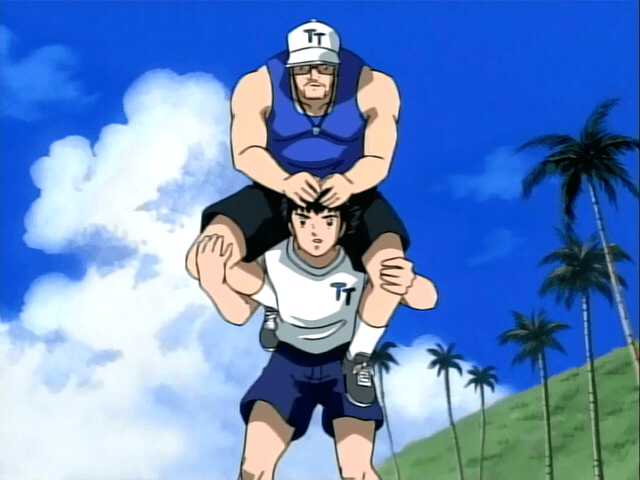 On behalf of the entire CT2002 Team (past and present), I want to thank you for sticking with us for our releases of Captain Tsubasa: Road to 2002. I hope you’ve enjoyed this series AND the other Tsubasa releases (Captain Tsubasa J and a couple of movies) that we’ve had during lulls in the CT2002 releases. Speaking of movies, I hear that there’s at least one more movie in the works, and it’s about “The Junior World Cup”, an event that’s been mentioned in CT2002. So… keep checking back for its release date. Now, you may download and enjoy the three remaining episodes in this series. Heck! Why not enjoy a CT2002 Marathon! Might be enjoyable since I hear the Japanese “football” (I’m tired of using “soccer” to refer to this sport) players have been seeing some action in recent days. I know Chelsea FC (from the British Premier League) has played a match or two in Japan within the past week. 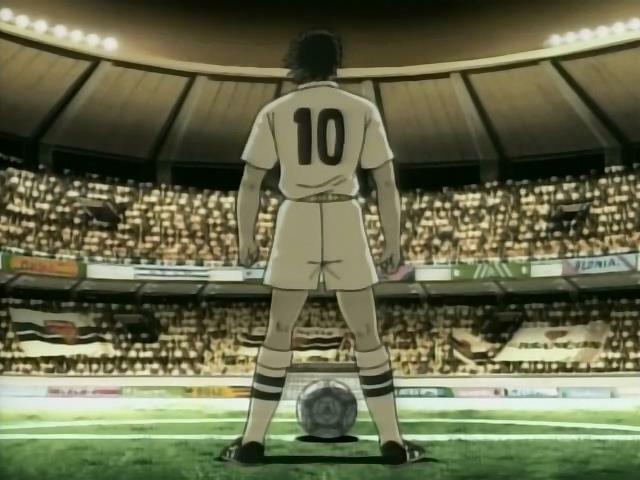 Anyway… I’m now rambling, so I’ll close this – the very last – release post for Captain Tsubasa: Road to 2002. I’ve really enjoyed myself while working on this project. Sad to see it end, but happy that it’s finally finished! Enjoy!! We’ve done it once, and now we’re doing it again — another batch release! This time, we’re releasing four episodes for your viewing pleasure. With the release of these episodes, we’re are SO close to finishing this series! So, I hope you’ll stick with us until the remaining three eps are released! Wow! I think this might be a first! 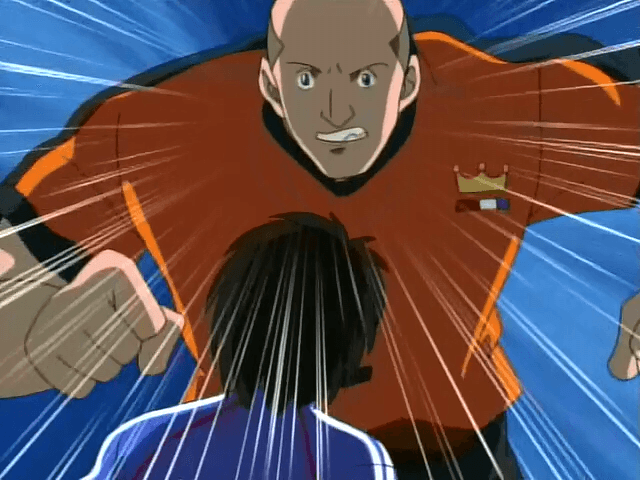 I am writing a post for the release of not one, not two, but THREE eps of Captain Tsubasa: Road to 2002 (affectionately known as CT2002). (And in addition to that we include the “lost” episodes 40 and 42 that were never linked here because of the site downtime)! In between the excitement of Euro 2012 and the football action during the Summer Olympics, the staff of CT2002 has worked hard to bring you this triple (batch) release. 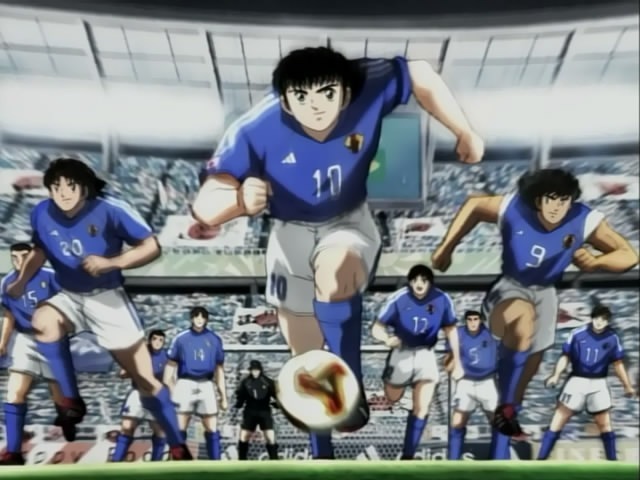 In these episodes, Tsubasa and his teammates are preparing to challenge the world — each in his own way. As happens frequently, things don’t always go the way they want, but they each handle what’s thrown at ’em. Amidst the excitement of Euro 2012 (which I’m sure you watched, right? 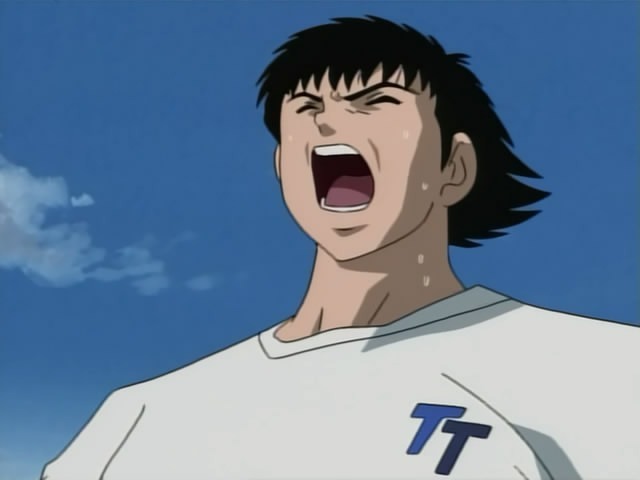 ), the saga of “Captain Tsubasa: Road to 2002) now continues with the release of episode 41. What are you waiting for now? Go download ep 41. Actually, if you’d rather watch the entire not-so-friendly game against the Dutch in one sitting, download (if you haven’t already) ep 40 along with 41 and enjoy what I believe is Japan’s first foray into international football… er… soccer, for you American fans. Before I close, I want to thank the CTJ team for giving you something to watch while “real life” has been keeping me away from the fansubbing scene. Judging by some of the release posts for that series, there was no shortage of action. Great job, guys. Quick! Get going! 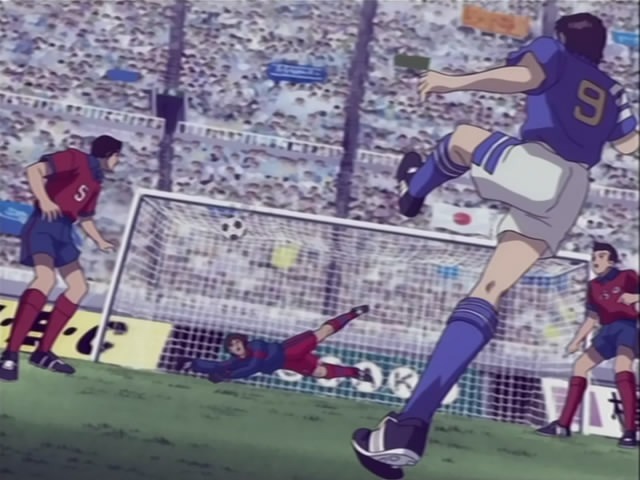 Download and watch some “Captain Tsubasa: Road to 2002″ action before the next round of Euro 2012 matches begin!! EDIT by Torianna: After reading all of CTJ’s release posts, I do have a question for sangofe: Other than the speed of the CTJ releases, why did you like CTJ better than CT2002? Apparently I’m doing news posts of this show too as of now. Great! Hope you enjoy the ball kikkin-gu!